CCNA & Beyond CCNA Certification UNetLab CCNA and Beyond: First draft completed! CCNA and Beyond: First draft completed! 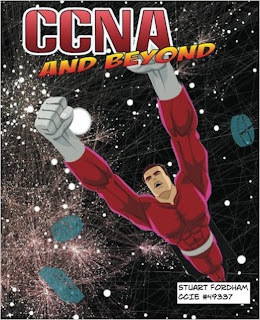 After months of work I have finished the first draft of CCNA and Beyond. The book is designed to teach you all the topics for the Cisco Certified Network Associate exam, and more. In it you will learn all the topics by building a full network. The traditional approach has always been to demonstrate a topic using just a handful of routers or switches, all the topics are self-contained, and there is little relation to other topics. This book is different, there are fifteen routers, four switches, a server and two hosts. As you go through all the topics the network will grow, and evolve, as networks do in real life. This book is aimed at preparing you for life as a network engineer, taking you beyond the CCNA topics, with examples of real life scenarios, hints and tips. It is all based around UNetLab, which offers a great platform to start your networking career, and will continue to support you as you learn and develop. Stay tuned for more updates, but it should be released (via Amazon) in January.